I will tell you how to make a Google AdSense account with YouTube in this Article. If you've completed your YouTube channel 4000 hours and 1000 subscriber, you can apply for the AdSense. Google AdSense shows ads in your video. And whenever someone clicks on this ad, you get the money. Now I'll tell you how to create Google AdSense account. Open your YouTube channel creator studio, and go to channel option. You have to see option Monetization option in this bar option. You click on enable on Monetization bar. You have just click on start to sign up Adsense. Read YouTube Policy And markup all option and click on accept. 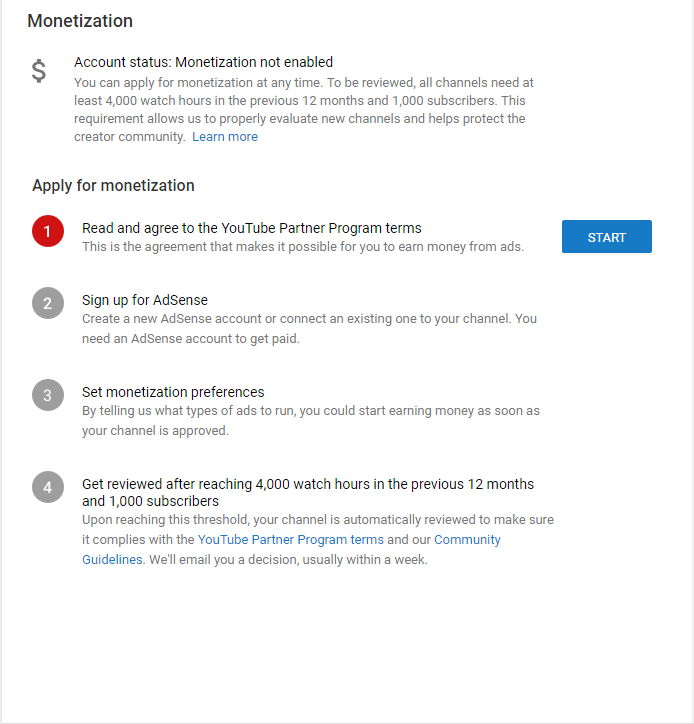 Next option is (sign up for AdSense) you click on start button for create Adsense by reference YouTube. Just click on start option on YouTube. 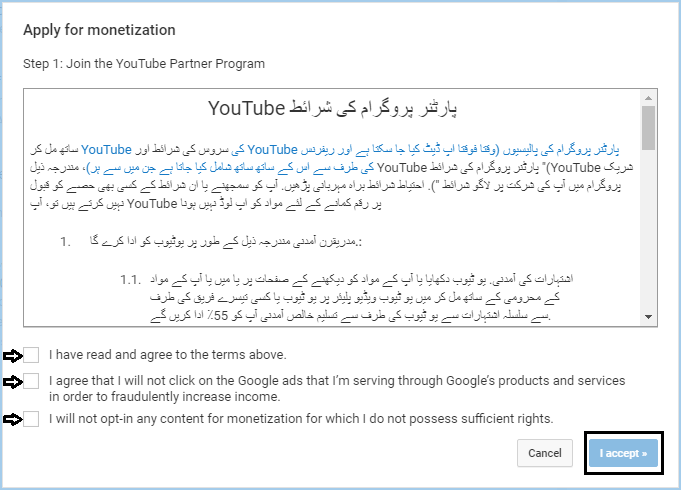 Next option is monetization with Google AdSense, so you have to click next button. Next open is select your own Gmail for creating for Google AdSense, So again sign into the Gmail. Your YouTube URL is already put on Google AdSense, Scroll down you have seen the option is (get more out of AdSense). If you get the best performance by Google Adsense, you have just click on (Yes, send me customized) option and selected your own country. After all, the option is right you have just click on (create the account). Your all agreement is saved in Google Adsense. Next option is put your payment information in Google Adsense. And put your phone number on the Google Adsense for verification. And then click on submit. You have received 6 digit code on your mobile by Google, put received 6 digits in Google Adsense, and then click on submit, after the verification you have to redirect YouTube Channel to Adsense. If you have complete YouTube 2018 Policy (4000 Hour Watch time with 1000 Subscriber last previous 12 months), your channel is fully monetized and show ads on your own video, YouTube benefits with your own YouTube Earing.